Well, I’ve started the year off trying to get organized. I’ve now sorted through all of the quilting fabric and it is organized by color. I’ve got a tote of projects to complete. Next will be sorting through the various supplies (knitting, crochet, cross stitch, etc.) to separate and store for easy access and to whittle it down. I’m finding there are patterns I really wanted to make when I bought them that now hold no interest for me. They are being listed on eBay. Here’s a block I completed for the Craftsy 2012 (yes 2012!) 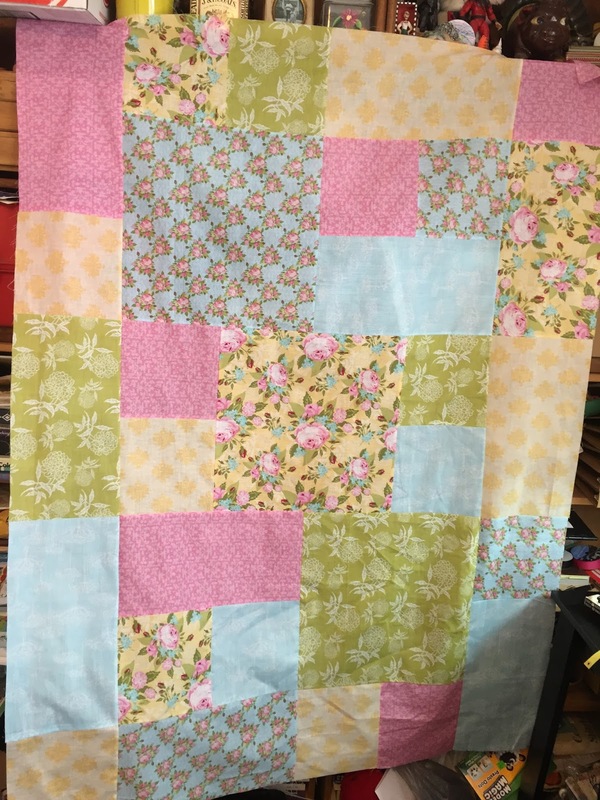 Block of the Month Quilt. Determined to not only finish that quilt but make the ones in the interim as well. I’ve also sorted all of my yarn. It is now out of the totes and in Magic Bags and vacuum sealed to save space. Sorted by type (baby and sock, black and white, various worsted, cotton). I have enough yarn for more than several projects so I’ve started on this one and plan to have it done by the end of this week. It’s a Granny Ripple Blanket and the pattern was generated using the random stripe generator (click the link to go to it. I just refreshed the screen until I found one that I thought would work with the amounts of color that I have. Very easy pattern and it will be going into my Etsy shop when it’s done and I’ve made a couple of other things to keep it company. Determined (beyond belief) to get that shop open this year. On the health front, things are going, were going, well until I developed a hernia that sent me to the ER and resulted in being admitted to the hospital for 3 days. I’m not used to pain in my abdomen since my surgery and I don’t like it one bit. Not a fun experience, but it has resolved itself so there is no current pain. I will need to have surgery, but I’ve put off calling my surgeon because I’m recovering from a cold that I caught in the ER that wrecked my voice the past week. First cold I’ve had in 3 years. Ugh…I don’t miss them. 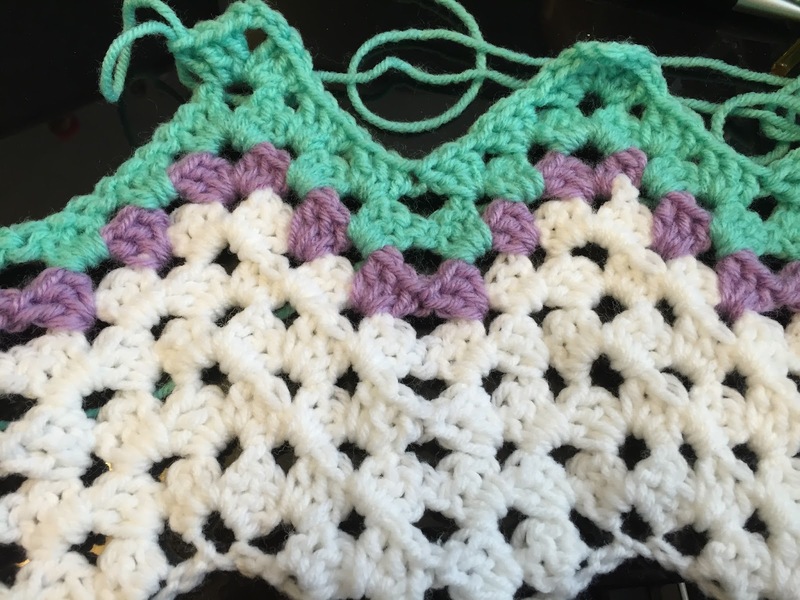 Oh yeah, I also pieced this top from a kit I picked up on sale at Walmart. I am not crazy about the fabrics, fairly thin, not great quality, but what should I expect for a sale price of $7.00. It also gave me a chance to play with the 1/4″ foot I bought that has the guide attached that I absolutely love!! 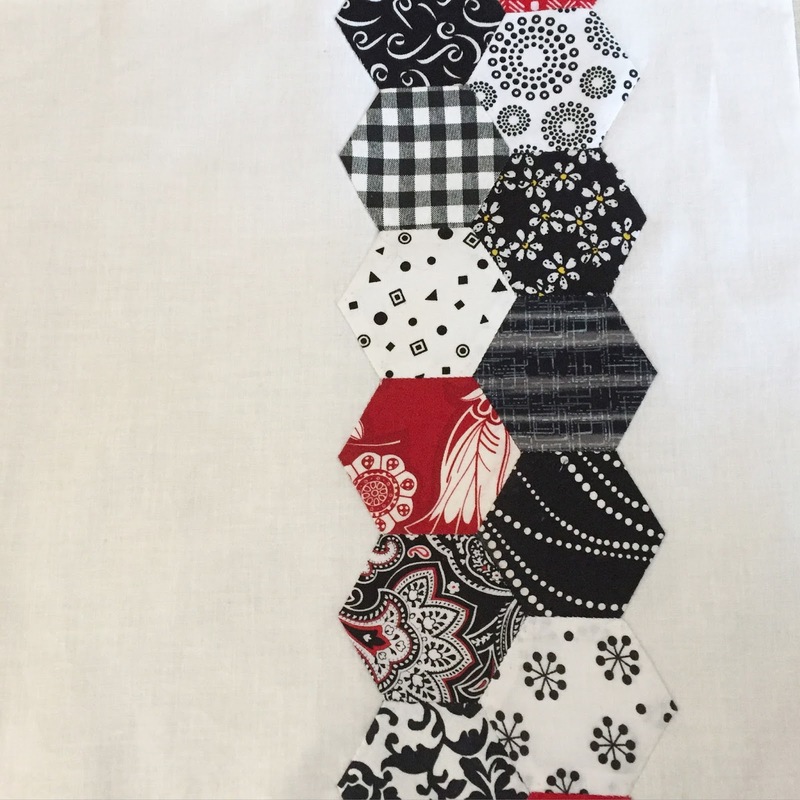 I will be using this quilt top to practice my machine quilting after I finish this class Learn Modern Straight-Line Machine Quilting. I’m very excited about this class. Lately my ideas for quilting have involved a lot of straight line designs. I have another class on Craftsy I’ll be going through as well, but this one first. I’ve got plenty of square and rectangle areas to practice with on this quilt. What else, what else…I’ve bought a new ruler system that I’ll talk more about later. So far it’s really nice, the test will come when I use the attachments for different size blocks. Well I guess that’s it for now.